Kateryna Clark has been writing in scientific journals since 2006. The results of her scientific research studies have been published in "The FACEB Journal," "Journal of Nutritional Biochemistry" and "Journal of Medicinal Food." Clark holds a Master of Science in nutritional biochemistry from University of Maine. Polyphenols are a large class of chemical compounds synthesized by fruits, vegetables, teas, cocoa and other plants that possess certain health benefits. Polyphenols have antioxidant, anti-inflammatory, anti-carcinogenic and other biological properties, and may protect from oxidative stress and some diseases. Polyphenols are divided into several groups, one of which is represented by flavonoids. Polyphenols are very abundant in nature and extremely diverse. There are more than 8,000 different polyphenolic compounds identified to date. That is why the terminology and classification of polyphenols is complex and confusing. Although all polyphenols have similar chemical structures, there are some distinctive differences. Based on these differences polyphenols are subdivided into several major subclasses: phenolic acids, stilbenes, tannins, diferuloylmethanes and flavonoids. The richest sources of polyphenols in the diet are fruits, vegetables and beverages such as juices, teas, wine and coffee. Some plants may contain several different polyphenols from various classes. Roughly one third of the total amount of polyphenols in an average human diet comes from the phenolic acid group, mostly coffee and tea, but also blueberries, cranberries, raspberries, strawberries, pomegranate juice, lettuce and spinach. 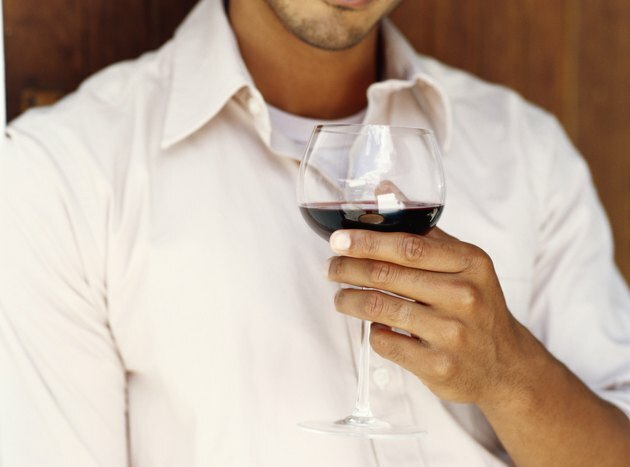 Tannins are present in grapes, wine, tea, coffee, lentils and walnuts. Blueberries, grapes and wine are also contain stilbenes; and the culinary spice turmeric is the only known source of diferuloylmethanes. However, the major sources of polyphenols in the average diet are flavonoids. Flavonoids are the largest family of polyphenolic compounds; that is why the words ”polyphenols” and “flavonoids” sometimes may be used interchangeably. However, although all flavonoids are polyphenols, polyphenols not necessarily are flavonoids. Plants produce flavonoids as a protection against parasites, oxidative injury and harsh climatic conditions. Flavonoids are further divided in several subclasses: anthocyanins, flavanols, flavanones, flavonols, flavones and isoflavones. Anthocyanins are pigments that give plants purple and blue colors. Examples of foods rich in anthocyanins are blueberries, cherries, blackberries, plums, purple grapes and pomegranate. Green and black teas as well as dark chocolate and other cocoa products contain various catechins that belong to group of flavanols. All citrus fruits and juices are a good source of flavanones, while soy and soy products provide isoflavones. All polyphenols, including flavonoids, offer numerous health benefits. Besides being potent antioxidants, some polyphenols have other biological activities that can prevent certain diseases. For example, pomegranate juice showed the ability to slow down the growth of prostate and lung cancers and improve vascular health. Tart cherry juice reduces muscle pain and inflammation in athletes. Green tea and red wine polyphenols can contribute to heart health and also protect skin from harmful UV rays when used topically. "International Journal of Molecular Sciences"; Dietary Polyphenolsand Their Biological Significance; Xiuzhen Han et al. ; 2007.